Abstract : We present a novel approach for the interactive synthesis and editing of virtual worlds. Our method is inspired by painting operations and uses methods for statistical example-based synthesis to automate content synthesis and deformation. Our real-time approach takes a form of local inverse procedural modeling based on intermediate statistical models: selected regions of procedurally and manually constructed example scenes are analyzed, and their parameters are stored as distributions in a palette, similar to colors on a painter’s palette. These distributions can then be interactively applied with brushes and combined in various ways, like in painting systems. Selected regions can also be moved or stretched while maintaining the consistency of their content. Our method captures both distributions of elements and structured objects, and models their interactions. 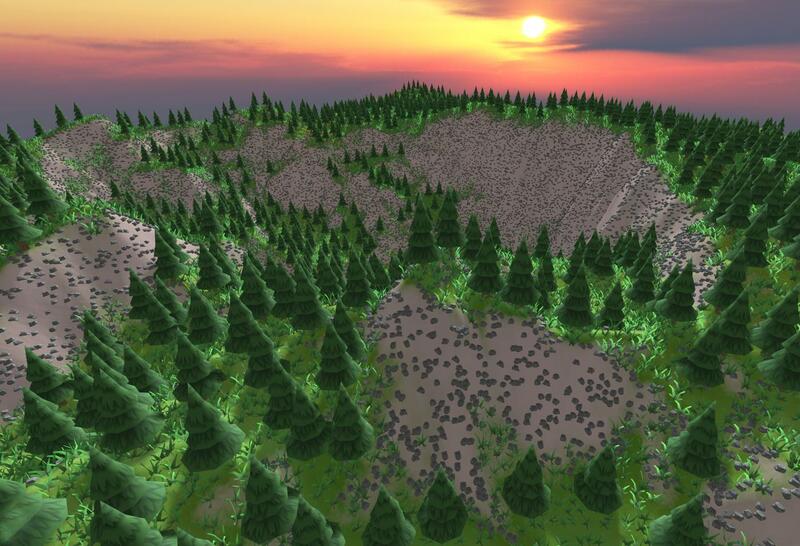 Results range from the interactive editing of 2D artwork maps to the design of 3D virtual worlds, where constraints set by the terrain’s slope are also taken into account.